During the last U.K. election, a spoof site called MyDavidCameron.com invited people to make up funny alternatives to the Conservatives air-brushed and oversimplified election messages. Anyone could create or rate a poster, and they did. In the campaign’s first six weeks, MyDavidCameron.com generated1,200 new poster versions with the funny, often over-the-top spoofs attracting 250,000 unique visitors. The site captured national media attention and brought the issue of the Conservative’s purported use of airbrushing and false political claims to the mainstream. This is one example of the potential for crowdsourcing, which, by asking a network of people to take on a function, can result in new creativity and engagement from the public on your issue. 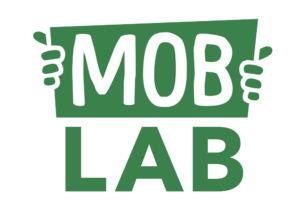 Exploring how to leverage more crowdsourced creativity from supporters was also one of more than 12 open sessions during the first day of Greenpeace’s Digital Mobilisation Skillshare (GPDMS). Greenpeace’s Benjamin Borgerding hosted the one-hour conversation, sharing a compelling example of how Greenpeace Germany was able to use the crowd-sourcing platform Jovoto to design an effective logo for renewable energy. Jovoto invites its 40,000 mostly freelance design professionals to take part in creative contests with the top winners receiving a financial award. When Greenpeace Germany used the platform to ask people to design a new key visual calling on Germany to adopt renewable energy by 2050, it received 300 entries, and a winning image that shared their message in a simple but effective way. Greenpeace Germany was able to leverage the competition element of Jovoto by posting the competitors images on its social networks. 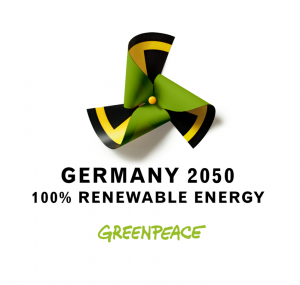 Designers participating in the contest were eager to share their work on Facebook and Twitter, introducing new people to Greenpeace and its call for 100 per cent renewable energy in Germany by 2050. “We’re really happy with the results,” says Benjamin, adding they plan to use crowd sourcing for future campaigns. Participants in the session noted that in order to crowdsource specific creative talents, it’s vital to engage people who have the required skills. Universities offer a wealth of smart, motivated people who could offer their skills to support environmental and social campaigns. Add incentives ranging from the clout that having your design used in a global Greenpeace campaign to further partnerships or work and you’ve got a recipe for solid engagement. Design a Portable Solar-Powered Water Pump: Greenpeace’s Argentina Innovation Lab will be engaging university students in India to design an affordable water pump powered by solar. The contest also plans to include a community component, asking supporters to vote for their top pick. 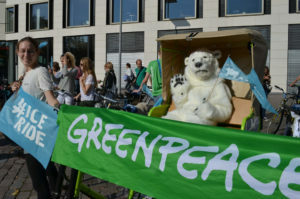 Supporters’ votes will make up a percentage of the decision, with Greenpeace and the university students also playing a role in the voting process. GPDMS runs until Thursday, Feb. 7, and convenes 140 Greenpeace staff and allies from for four days of learning and collaboration on creating the best people-powered campaigns. For more live updates on #GPDMS, follow our feature page.